The Youth Leadership Youth in Action Project mobilizes young leaders across the nation to create population level change in their communities. After successfully completing the Youth Leadership Key Essentials training course, young leaders use their newly refined knowledge and skill to actualize detailed plans (“The Plan”). They embark on short and long-term missions with specified duties, goals, timeframes and strategies for undoing a problem in their home town. Youth Leadership Training courses are powerful because they transfer complex information in a way that transforms young leaders into young scientists without them even realizing it. 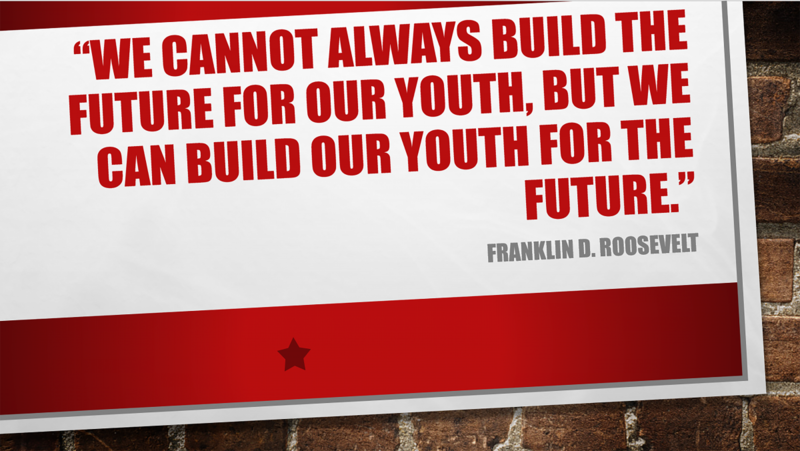 The purpose of the Youth in Action Project is to translate this power into measurable and replicable results. To receive further details about the plan template or to receive coalition development with your PLAN, please email youth@cadca.org or call 1.800.54.CADCA ext 249. Created by one of our Youth Trainers, this video depicts the value in the Youth Voice. Youth Leadership empowers youth to "Be Seen, to Be Heard and to Be Valuable!"